Sadly we missed out on our annual viewing of the Faneuil Hall Tree lighting ceremonies on the 20th. Each year attending a tree lighting ceremony is a great way to get the Christmas and Holiday Season off to a memorable start. No Black Friday shopping does not count. This Thursday Joey McIntyre of New Kids on the Block fame will be singing at the Boston Common Tree Lighting event this upcoming Thursday December 1st from 6-8. There will be other performances of course and the good news is that you can catch it on Channel 5 (from 7-8pm). There are planned fireworks and though there has been the ability to ice skate on the Frog Pond in the past given our “tropical” weather lately I would definitely check to see if the pond will be open to skating then. 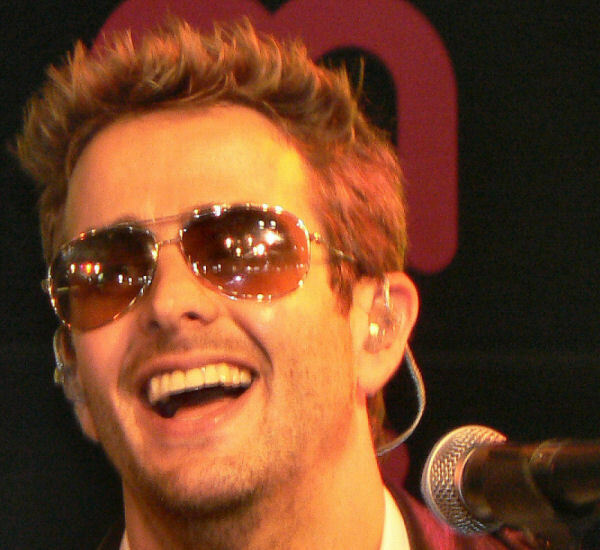 It’s great to have a hometown boy, Joey McIntyre being a featured performer at the event. Originally from Needham he has released a Christmas Album entitled “Come Home for Christmas” this year after a successful reunion with his former band New Kids on the Block. On his website he mentions that Jordan Knight is supposed to join him for rendition of “Peace on Earth”. I am sure that will thrill both former and new NKOTB fans. He has already done the Macy’s Tree Lighting where he performed “I’ll be Home for Christmas” as well as other Christmas favorites. The 2011 Holiday Lights event is bound to be highly attended since the weather forecast is for warmer weather so stake out your viewing spot early. « Is Big Papi’s Restaurant Moving to Boston?